Here's something to chat about next time you find yourself in a crowd of white-wine-sipping elitists: a new study finds that white wine is associated with higher rates of invasive melanoma. The study, published in Cancer Epidemiology, Biomarkers & Prevention, found that all types of alcohol carried a higher risk but white wine carried the most significant association, expecially for body parts that receive less sun exposure. The study's author -- Eunyoung Cho, ScD, an associate professor of dermatology and epidemiology at Brown University -- said it was surprising that white wine was the only drink independently associated with increased risk of melanoma. The reason is unknown, although research has shown that some wine has somewhat higher levels of pre-existing acetaldehyde than beer or spirits. While red and white wine may have similar amounts of pre-existing acetaldehyde, the antioxidants in red wine may offset the risks, Cho said. However, Cho pointed out that modest alcohol intake has been connected with reduced risk of cardiovascular disease. "For drinkers, risks and benefits of alcohol consumption have to be considered individually, including the risk related to skin cancer," she said. In Cho's study, overall alcohol intake was associated with a 14 percent higher risk of melanoma per drink per day. 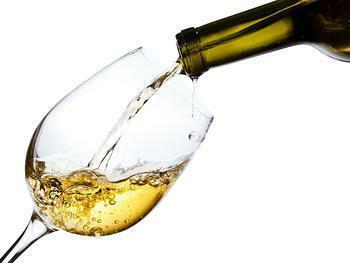 Each drink per day of white wine was associated with a 13 percent increased risk of melanoma. Other forms of alcohol -- beer, red wine, and liquor -- did not significantly affect melanoma risk.